Flower color: scarlet. Bloom time: July-Aug. 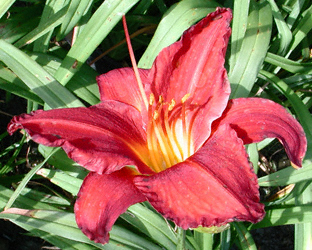 Attributes: 6" scarlet flowers with yellow throat.